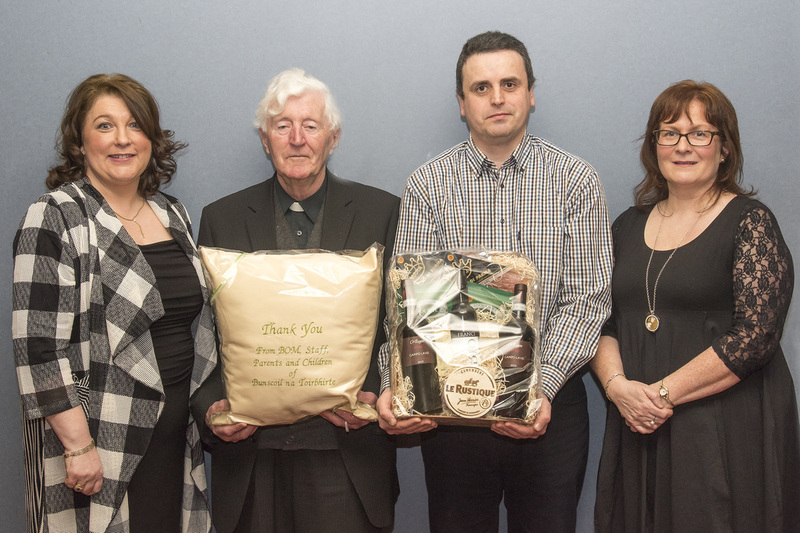 Bunscoil thanks Canon Tim for over twenty-one years’ service. 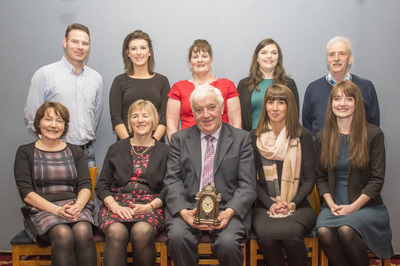 The new board of management of Bunscoil na Toirbhirte along with the staff thanked Canon Tim O’Leary for over twenty one years’ service to the school as chairperson of the Board of Management recently. 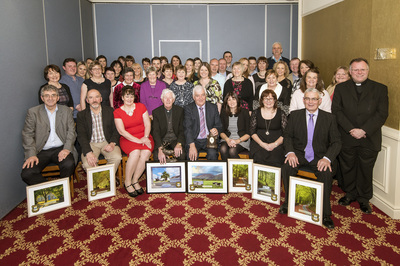 Principal Kayren Hayes-Brennan spoke of his dedication and commitment to the primary school sector, where he has acted as chairperson of different school boards since their origins almost forty years ago during which time Canon Tim has been chairperson of a number of schools, most recently Glenahulla (until 2011) and Bunscoil na Toirbhirte. She thanked all the board members for their immense enthusiasm over her eleven years as principal and before. At this stage Canon Tim was presented with a picture of the school, taken by local esteemed photographer Bill Power by Fr. Gabriel Burke on behalf of the Board of Management. Canon Tim was also presented with a Genesis statue of a deer, recognising his love of nature and the Galtees, from the staff of the school and with a hamper from the Parents’ Council. Canon Tim was not the longest serving member of the outgoing board however. This honour went to Seán Finn, who has served as a parents’ nominee, patron’s nominee and community nominee over a twenty three year period. Seán great dedication to Bunscoil was particularly evident in the area of expertise he brought to ensuring summer works were carried out, almost on an annual basis, and being available to monitor these over many summers. 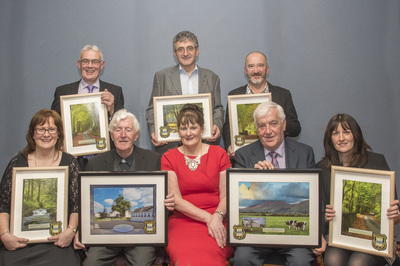 He was presented with another Bill Power photo of the Galtee mountains, pictured from near his home. His dedication to the Green Schools’ Programme was also acknowledged, and Catherine Horgan (Assistant Principal and Green School co-ordinator) presented Seán with a clock with an inscription from the Green School Committee. Other outgoing members John Brooks and Martin O’Sullivan, who have each served a number of terms on the board were presented with pictures, as were Elaine Linehan, Seán Joy and Sheila Corbett. Chairperson Fr. Gabriel Burke spoke of the value to a school community of the commitment and work a board of management does in a school, over a considerable length of time, largely behind the scenes. Canon Tim spoke of how he loved every minute on the board of management over his many years, and that he wished the new board well. Seán Finn recalled many happy years on the board, and the friendships he had developed over that time, and assured the new board that he was only a phonecall away if they ever needed support. After the presentations the staff and board members enjoyed a feast of musical talent and a sing-song.